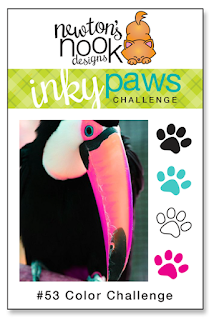 Create a project using black, teal, white, and magenta. You have TWO WEEKS to play along - Deadline to enter is Friday, August 25, 2017 at Midnight CST. The winner and DT favorites will be announced on the NND blog the following Monday. Andrea Shell prickly masterpiece showcases Cuppa Cactus. 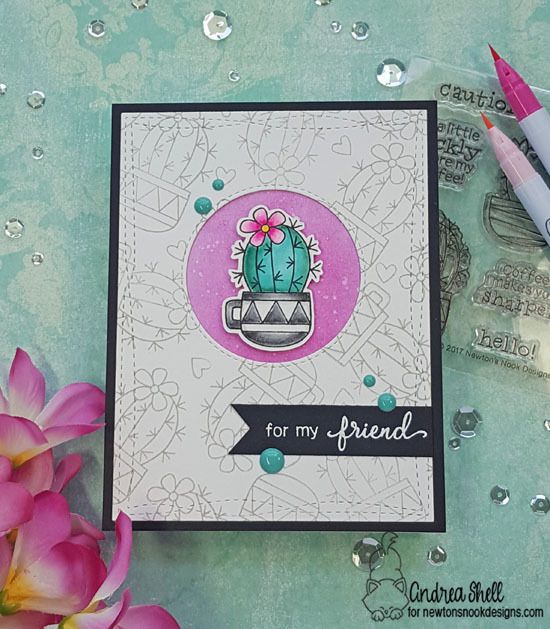 Just love how she repeatedly stamps to make such a fun background! 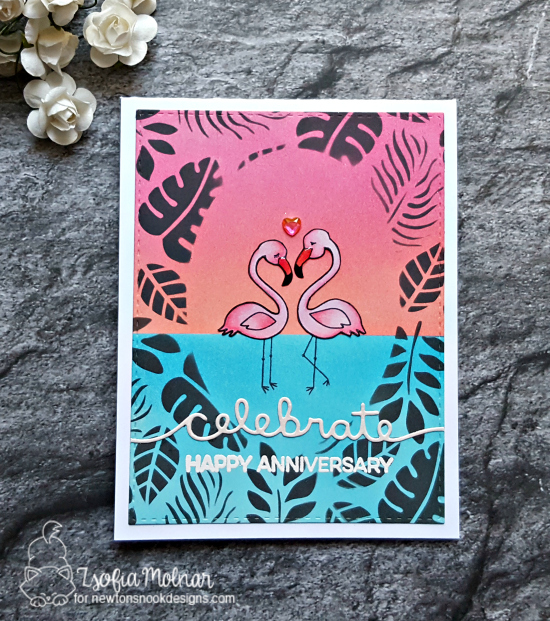 Zsofia Molnar creates a beautiful frame using Tropical Leaves stencil to showcase those colorful Flirty Flamingos! 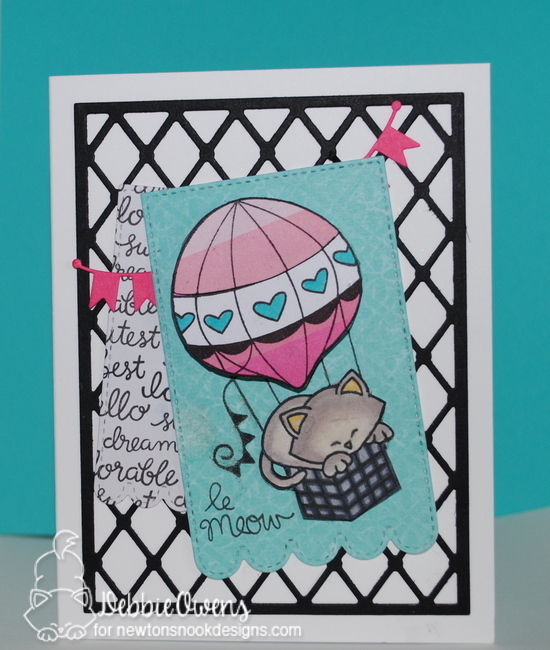 Debbie Owens creates a playful card with many layers featuring Newton Dreams of Paris. Diane Morales' amazing background showcases Cosmic Newton wonderfully! Just love those rays! 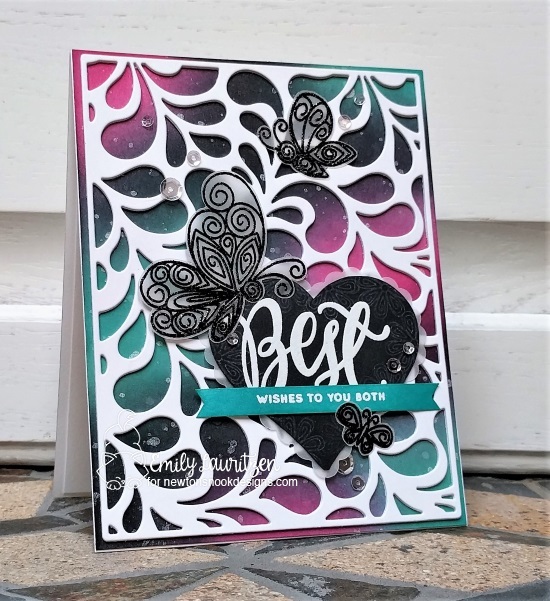 Emily Lauritzen stunning background with Beautiful Wings makes for a gorgeous card. Thanks for the fun color challenge and inspiration!